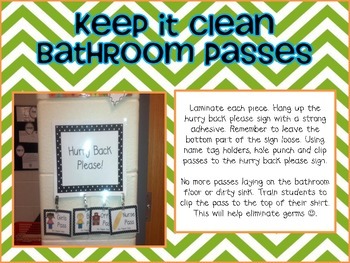 No more bathroom passes on the dirty floor or sink. 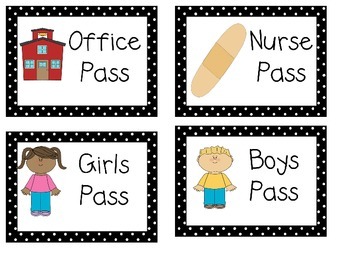 These passes clip to a student's shirt to ensure that they stay in a clean place during restroom trips. 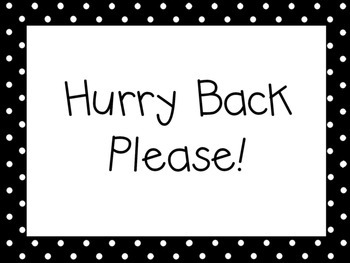 The name tag clips will need to be purchases separately. 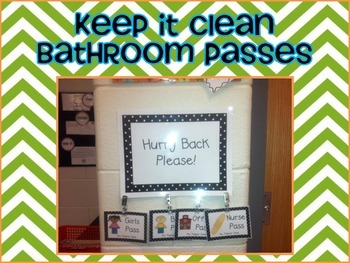 The "Hurry Up Please" sign and bathroom passes are included.